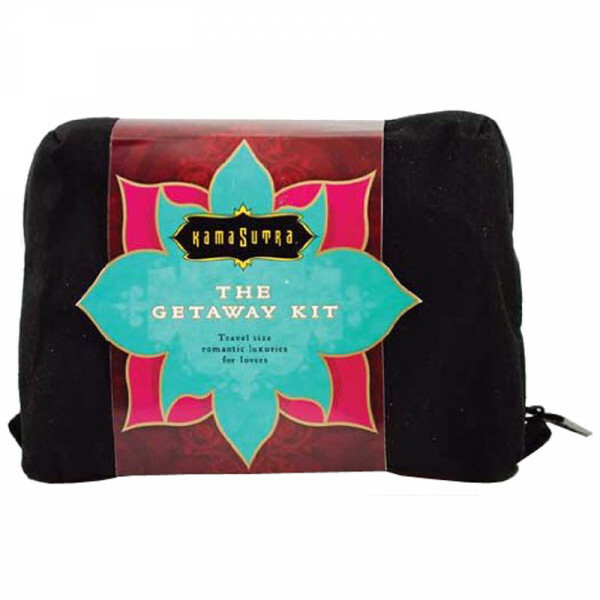 This special Getaway Kit designed by Karma Sutra includes all of your favourite products in one ready-to-travel package! The Getaway Kit by Karma Sutra is the perfect way to spice up your vacation, with convenient travel-size versions of your favourite products. These flight-approved sizes include all of your favourite bedroom treats such as Vanilla Cream Oil of Love, Love Liquid Lubricant, French Vanilla Body Souffle, and Sweet Honeysuckle Honey Dust. Plus, you'll get a fun feather duster and votive romance candle in a re-sealable, ready-to-go case!